Lake Forest-based Cryptozoic Entertainment, in partner with Warner Bros. recently announced the release of its DC Bombshells Vinyl Figures. This release of the DC bombshell statues line follows the successful comic book series in 2015, which highlights the heroines and notorious villainesses that focus on the changing roles of women in World War II. 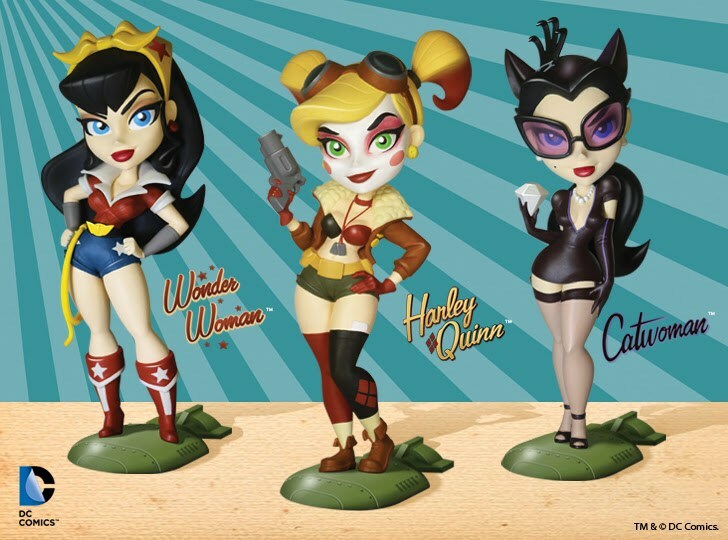 The statuettes include: Wonder Woman, Harley Quinn, and Catwoman. Designed by Pedro Astudillo, then sculpted by Andres Ehrenborg, the stylized figurines stand approximately 7” tall and will be available for purchase at comic book, bookstore, board game, and specialty retailers with a suggested retail price around $29.99. Cryptozoic Entertainment is a leading developer and publisher of original board games, trading cards, and collectibles, including: The Walking Dead board game, The Big Bang Theory: the party game, and Ghostbusters.